Recorded by the Santa Cruz observatory, this temperature was at least seven degrees above normal. The maximum temperature recorded by the IMD Colaba observatory was 35.3 degrees, 3.7 degrees Celsius above normal. The relative humidity meanwhile recorded by the IMD Colaba and Santa Cruz observatory was 45% and 26% respectively. Skymetweather predicts a drop in temperatures from Wednesday onwards. The daily quoted a weather expert as saying that strong easterly winds from places like Rajasthan have led to the rise in temperatures. The expert said that another reason for the rise in temperatures was the delayed onset of sea breeze. 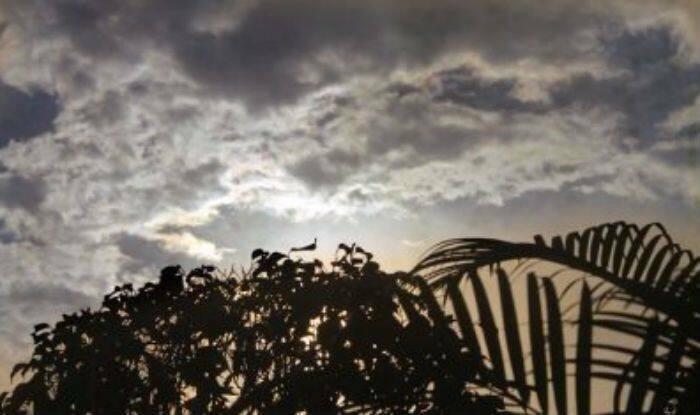 The minimum temperatures recorded on Monday by the IMD Colaba and Santa Cruz observatory were 23.8 degrees Celsius which is 0.5 degrees C above normal and 22 degrees C which is 0.1 above normal respectively. Earlier this year, Union Earth Sciences Minister Harsh Vardhan had announced that the Government had decided to add 200 rain gauges in Mumbai. The Minister said, “The IITM, with the help of the India Meteorology Department (IMD) and the Brihanmumbai Municipal Corporation (BMC) is installing a new dense rain gauge network over Mumbai city with 200 rain gauges. “In addition 3 X-band and one S-Band radar will be also installed so that a merged rainfall data set at 2 km resolution will be prepared and made available to the public on real-time. This facility will help the city administration and general public to know the prevailing rainfall situation in the city on real-time basis. For this purpose, already a mobile App has been developed,” Vardhan added. Mumbai is known for flooding due to heavy rains. The city currently has 25 rain gauges and only one S-Band radar.